and conferences coming to a city near you. Learn when it's most convenient for you. Ideal for individuals or groups. to your location for one or multiple days. use to conduct PD with your own staff. 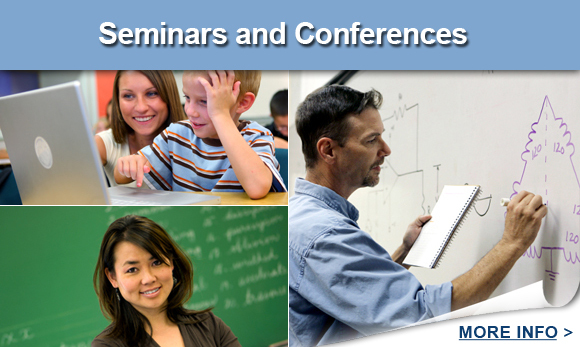 to BER seminars at your convenience. Bureau of Education & Research (BER) is the leading provider of professional development and PD training resources for teachers and other educators in North America. "Every BER seminar I have attended has far surpassed my expectations. Information is always practical and teacher friendly." "I have taught for 30 years and I always go away from a BER seminar with new ideas." Learn how you can receive CEUs and college credit. If you know the date of your event, find directions to the event location.